I'm writing this as it may help some who bought Japanese cotton from Agnes recently. As you know my stash grew considerably! 1. I found it easier to unwind from the skein to a cake when the skein holder was vertical (like a ferris wheel). 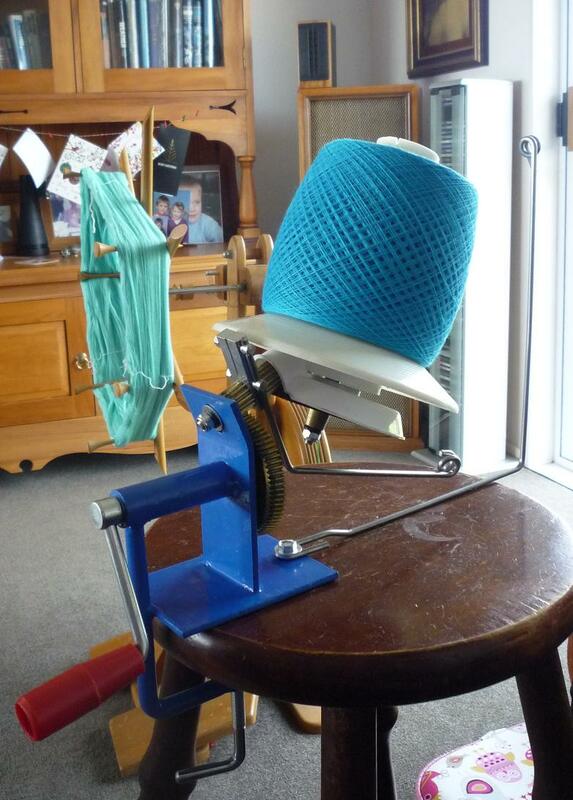 My horizontal winder is wooden and not very free wheeling so tended to snap the threads especially the finer 60/2. 2. Keep some tension on the thread as you wind it into cake. Loose tension produced knots as I wound the warp. 3. I used two threads together from separate cakes when winding my warp. It would be better to rewind the two threads together into one cake or onto a cone as I was constantly stopping for tangles mostly caused by 2. above. 4. 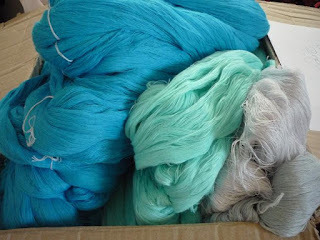 I used 4 skeins 40/2, two threads together, to wind a 9 metre warp 768 threads with very little left over. My warp is a 16 shaft networked draft with an echo of 8 sett at 32epi (32 double threads). 5. While winding the warp onto the loom there was a little twisting of threads with their neighbours and also a little pilling. I put a row of tabby through the warp and separated it into two halves horizontally which helped a lot. 2 broken threads in 9 metres and one of them was my fault for not fixing a couple of crossed threads. 6. 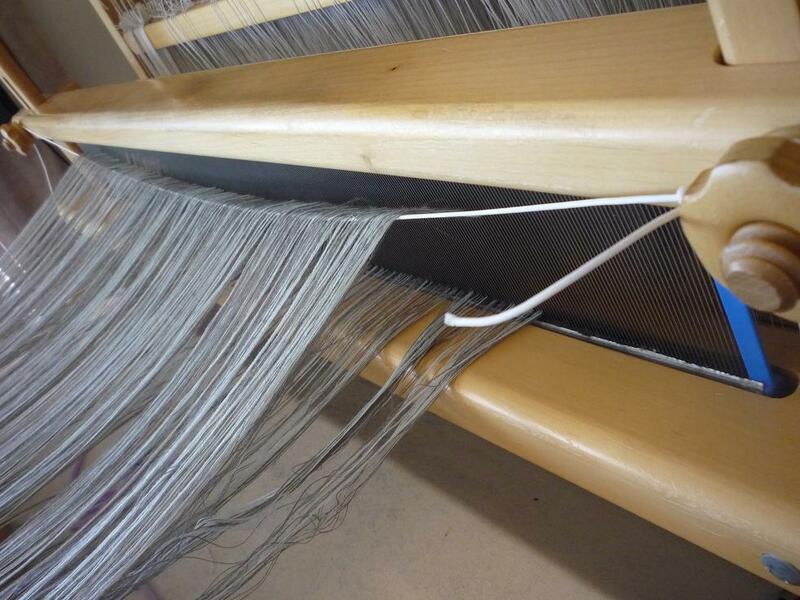 I've woven one wrap with a tencel weft and it wove like a dream. Next I'll use the cotton as weft. Edit 7. Take your jewelry off. Caught a thread on my watch clasp. Flat ring even made trouble. Edit 8. I actually closed the sett to 36 doubled threads per inch and its much better. Hope these thoughts help when using your fine threads.